192.168.1.254 is one of the addresses often used by manufacturers as a default gateway address for different router models. This is a private IP address, it is one of the Class C addresses and it is the last usable address within range 192.168.1.0 – 192.168.1.255 (the first one is reserved for network and the last one for broadcast). The fact that it is the last usable doesn’t mean that your devices won’t be able to use all the other addresses from this range as their IP addresses (these addresses will still be assigned to your devices by your router’s DHCP server). Our main topic is the address from the title but in order to get to it, we will have to introduce you to IP addressing and explain some things important for your understanding of different IP addresses and default gateways. After the introductory part, we are going to show you how to access the configuration page of your router and how to perform initial configuration and adjust your network settings. In the end, you will find a short guide to solving some router issues. Hopefully, you will know much more about this address, default gateways, and router configuration after reading this article. Is IP Addressing Really That Important? What Can You Do With 192.168.1.254? What to Do If You Can’t Access Configuration Page with This Address? In short, yes. It’s essential. Without IP address you can’t access the internet or any local network. There is no way of communicating with other devices using the same network without an IP address assigned to your device. IP address is, in a way, like your home address. You wouldn’t be able to receive or send mail without a home address. Similarly, you wouldn’t be able to access any network or get in contact with other devices without an IP address. So, to conclude, no IP address = no networking (and no internet). In order to assign a unique address to each and every device, some set of regulations had to be introduced. Just like your home address includes State, City, Street, and your home number which makes your home one and only with that exact address, your device must have its own code, its IP address. The set of regulations that defines the procedure of assigning IP address is called IPv4 internet protocol. According to IPv4, your device’s IP address is nothing but a string of 1s and 0s, 32 of them, to be precise. These bits (ones and zeros) are arranged in four sequences of 8 bits separated by dots. Of course, a long string of ones and zeros is not what you will see when you try to find your device’s IP address or a default gateway address of your router. You will rather see something like 192.168.1.254. So, real numbers and not a bunch of zeros and ones. But not any numbers. You won’t see any number larger than 255 or smaller than 0. There are always 4 numbers with dots between them (you can see that from our example). This internet protocol provided us with 4.3 billion addresses (approximately) which were sufficient back then when it was invented (during the 1970s), but there are some clear signs that it won’t be enough in the future (growing number of devices, websites, people, etc.). A new protocol was introduced in order to respond to the future demands and growing need for IP addresses. It’s named IPv6, and it’s basically the same thing like IPv4, only a bit more complicated (4 times longer). So, there is still a bunch of 0s and 1s, only 128 of them, not 32. They are arranged in 8 groups of 16 bits. Considering the number of bits, you can immediately conclude that the number of available combinations increased considerably to 340 undecillions. That means 340 undecillion different IP addresses. This number is large enough to cover all the future requests. It is more than enough for every device in the world to have its own unique IP. The transition from one to another Internet Protocol is an ongoing process and it won’t end quickly. The idea is to make this transition as smooth and painless as possible. For now, IPv4 is in use, and it is the only one in power. In order to prolong its use, some additional modifications on IPv4 had to be made. The first one is the appearance of private addresses. All IPv4 addresses are split into 5 classes. Class A, B, and C are used for commercial purposes (addresses from these classes are assigned to different companies and Internet Service Providers). Class D addresses are reserved for multicast and E for testing. All the addresses mentioned above (those from A, B, and C classes that are assigned to companies) are public and can be accessed through the internet. These public addresses can only be assigned to one company or to a specific device, which means that once they are assigned no other device in the world can use that exact same address. Now, let’s consider the number of devices on the planet (phones, tablets, laptops, PCs, etc.). The number is huge, probably even larger than the number of available addresses. If every device on every small home network or local corporate network would have its own address, the number of available IPv4 addresses would be exceeded and that would make IPv4 protocol useless for new devices. That’s why, three blocks of private IP addresses were defined (one within each of three classes A, B, and C). The most often used blocks of private addresses on private networks are 10.x.x.x and 192.168.x.x addresses (these are private addresses from blocks A and C). You can notice that our IP address 192.168.1.254 is one of those private addresses from C class. But, what’s the significance of these private addresses? Well, the introduction of private addresses is pretty simple, efficient, and elegant way of preserving IPv4 addresses and prolonging the life of this protocol. How? By enabling multiple devices to have the same IP address. So, there are many private devices on home networks all around the world using the same range of private IP addresses (usually 192.168.x.x addresses) and there are many devices in the world using the exact same IP address. As we’ve already said 192.168.1.254 is one of the common default gateways. Many router manufacturers assign this address to their routers. It’s probably not the most popular one, but you can still find it quite often. Some manufacturers that assign this address to their routers are Billion, D-Link (only a few models), Gigabyte, Hawking, Linksys (a few models), MSI, Netopia, Planet, Siemens, Sitecom, SpeedTouch, Thomson, Trendnet, ZOOM, ZTE, Zyxel. If you have modems made by one of these companies (especially Thomson, Netopia, Billion, Gigabyte, Hawking, and SpeedTouch) there’s a great chance that your default gateway is this address. The main purpose of any default gateway address is to give you an access to the router setup page. You can use this address to enter configuration page and make different changes on your network. In order to access this page, you just need to type in this address in your browser (with or without http://), hit Enter, and login page will appear. By entering the correct password and username you will enter the setup page and you can start configuring your router and change all kinds of settings. 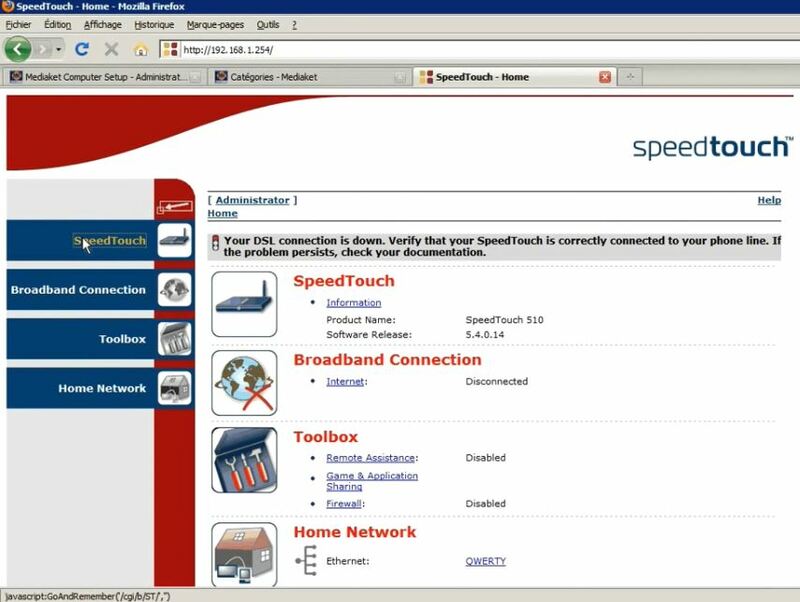 By using this page, you can perform initial configuration of your router, you can change your wireless network name and password (change SSID), set password and username for router’s configuration page (try not to forget those usernames and passwords), allow or forbid access to some web pages, change firewall settings, assign static IP to some of your devices (which should be done carefully), or even improve the speed of your connection. This can be really frustrating but don’t worry, it can be solved quickly. Just follow this guide we made for you. Step 1 – If you can’t access login page, check if 192.168.1.254 is your default gateway. It might sound stupid, but it’s not impossible. You will find an info on default gateway in your router’s instruction manual or written on your router. If you can’t find it, you can try with some other usual gateways (192.168.0.1, 192.168.1.1, or maybe some gateways from block A, like 10.0.0.1). There are also ways of finding the gateway through command prompt in Windows, or through Terminal in Linux and Mac OS. You can read about that here. Step 2 – If you are certain that 192.168.1.254 is your default gateway, then there is maybe an IP conflict between some device on your network and your router. If a device has static IP assigned to it, and that IP is the same as the default gateway, device and router won’t be able to communicate and won’t work properly. Try to change device’s static IP and then try to access router’s setup page. You can find a step-by-step guide to assigning static IP here. Step 3 – If none of these things help, there is one more solution – resetting. To reset your router, press and hold the reset button for 5 or 10 seconds. Reset button should be somewhere at the back. That should solve your problems but all the previous adjustments you’ve made will be lost and you will have to configure everything again. Step 4 – If resetting doesn’t help, then there must be some kind of malfunction. Whether it’s some software or hardware issue, you should contact the manufacturer if your warranty period hasn’t expired or buy a new router if it has expired. Forgetting any password or username is not such a rare thing these days. With a bunch of websites, e-mails, and other services requesting registration, forgetting username and password is a common thing. But there is always a solution. If you forget a password or username for your router’s login page, you can do a bunch of things. Solution 1 – In case you didn’t change the default password and username, you can try to find them in the user manual, or to see if there are password and username written on the router. 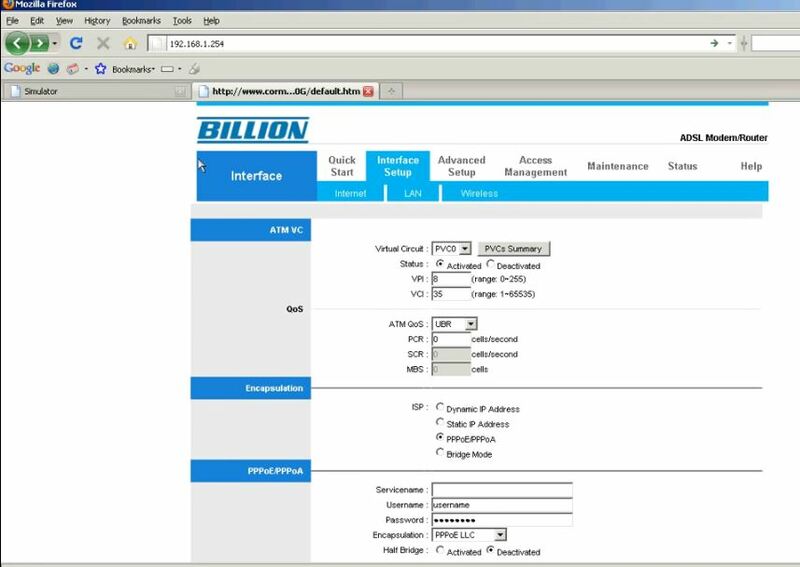 Solution 2 – You can also contact the manufacturer or visit some of the specialized websites offering info on default usernames and passwords for every router model. Solution 3 – Try with some common defaults. You can use Administrator, Admin, admin, N/A, or 1234 as a username. Common passwords are Admin, admin, 1234, blank field, or password. Solution 4 – If you’ve changed the password or username previously and you can’t remember them now, the only thing you can do is resetting the router. J’aimerais changer son password, car le password fourni (WPA Key) est trop compliqué et difficile à retenir! If I try to connect to this IP address 192.168.1.254 I got message that site are reset.I also reset my router without success. Connection to AT&T is down when I check http://192.168.1.254 on my computer. Waiting for your help Anthony. I have connection from my other router in my house. I buy tp-link ac1750 because I want to boost my WiFi signals in my home. Can you please help me to setup my new router?